Invisalign Free Smile Assessment Week - Pearl Dental Clinic, Kingston, London. The Invisalign® FREE Smile Assessment Week is coming to Pearl Dental Clinic on Monday 12th November 2018. The event will last the whole week and includes Sunday 18th November. During this week, patients who are wanting to undergo Invisalign Comprehensive Treatment can receive a FREE Clincheck assessment. This allows patients to see a visual representation of the process the teeth will go through to get to the end result. Furthermore, as part of the event, any patient who decides to undergo the process will receive £50 off the treatment cost. 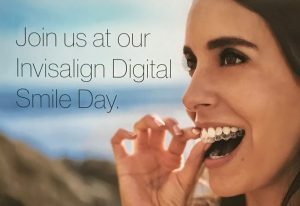 Invisalign Free Smile Assessment Week – Where is it? The clinic is located at 5 Vale Parade, London, SW15 3PS. We are easy to get to using all major transport links and there is always FREE parking available outside or nearby to the clinic. We are open from 9am right up until 10pm, seven days a week. As part of the Clincheck process, the revolutionary iTero® scanner is used. This eliminates the need for inconvenient and time-consuming impressions. Instead, the scanner takes a digital scan of the teeth to create a 3D computerised representation. 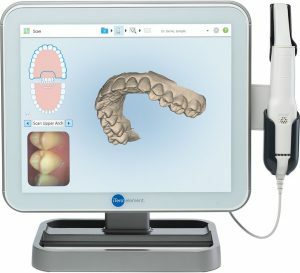 The Clincheck software then uses these digital impressions to create a projection of the treatment, how many aligners are needed, how the teeth will move at each stage, and what the end result should look like. This technology is especially good for patients who struggle with a sensitive gag reflex. It also allows for immediate projections and manufacture. If you have been considering undergoing Invisalign clear aligner treatment then why not book in for a FREE Smile Assessment. To book in you can call the clinic directly on 020 3613 3188. This special event is only available during the week beginning 12th Nov (12th -18th) so do not miss out. You can also book an appointment by using our easy and convenient online booking system. We look forward to assisting you soon, here at Pearl Dental Clinic. Pearl Dental Clinic is open 7 days a week from 9am to 10pm. You can book a FREE Smile Assessment by calling us on 020 3613 3188 or emailing us or booking an appointment online.